1. Remember the difference between an absolute and a relative pin. Black is not allowed to move the knight on c6. Black is allowed to move the knight, but then (in this case) White will capture the queen. See also the lesson about the pin. White is able to pin the knight by 32.Rd1 and can capture this knight on the next move 33.Rxd4+. Next we are going to pay some attention to Chess Tactics explained. The evergreen game is (like the immortal game) another famous chess game from Adolf Anderssen. The game was played against Jean Dufresne in 1852 and can also be found in the ICOFY database that we have used during one of our previous lessons. The name evergreen means something like “Forever Young”. The whole game can be replayed below, but I think that the most interesting part of the game are the last moves starting from the position in the diagram below. 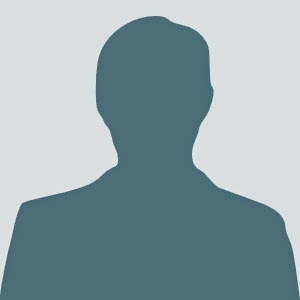 This is a mate in four exercise. Can you solve it, or do you have to look at the full game? The mating pattern is rather nice. Are you already familiar with the Immortal Game or do you want to proceed with revisiting the Pin. Let’s have a look at the next diagram taken from a real game played in 2007. It is White’s turn to move. Before reading further try to figure this out by yourself. Looking at the candidate move 9.Nxe5 we have to conclude that we only have gained a pawn. The king is defending f7. This prevents the knight fork 10.Nxf7 attacking both the queen as well as the rook. More important: It is now Black’s turn to move and he can prevent our plan by playing 9…Qxd1. Let’s have a look at the candidate move 9.Qxd8+. This move has to be followed by 9…Kxd8. After 10.Nxe5 it seems that Black is still able to defend f7 by 10…Be6, but after 11.Bxe6 fxe6 we can play a succesfull 12.Nf7+. After 10…Ke8 the line 11.Nxf7 Rf8 12.Ng5 is interesting, and we have to look at the possible knight fork at c7 after a move like Nb5. Try to find this kind of combinations in your own games. If a combination doesn’t seem to work try to rearrange the order of the moves. The next lesson is about the Evergreen Game. Whats preventing the knight fork 10.Nxf7 when white has support from the c4 knight? Also how is 12.Nf7+ possible when the king never moved? White has support from the c4 knight, but please keep in mind that Black is only allowed to do one move at the time. Please note that f7 can be defended by playing …Be6. Of course I concur. Excellent Website. In addition to the smothered mate, in which the mated king is unable to move because all the surrounding squares are occupied by his own pieces, there are a lot of mating patterns in which the king is only partly smothered by his own pieces. Let’s have a look at the next diagram and try to figure out how to exploit that Black’s king is almost smothered. The solution is visible by selecting the text between the two brackets. Remember that if you succeed in taking away all the surrounding squares of your opponent’s king a simple check will be sufficient to win the game. Taking away these squares can be done by attacking these squares or by forcing your opponent to place his pieces on these squares. The next chess lesson is about finding combinations. Sorry I am just learning annotation, but I was curious about your solution…. There is no white queen on the board. The queen on c7 is a black queen. I think that I have to replace the Leipzig chess set by another one. I am now using the Alpha chess set. The immortal game is one of the most famous games ever played. It was played in 1851 as an informal game between Adolf Anderssen and Lionel Kieseritzky. Played between the two great players at the Simpson’s-in-the-Strand Divan in London, the immortal game was an informal one played during a break in a formal tournament. Kieseritzky was very impressed when the game was over, and telegraphed the moves of the game to his Parisian chess club. The French chess magazine La Régence published the game in July 1851. This game was later nicknamed “The Immortal Game” in 1855 by the Austrian Ernst Falkbeer. 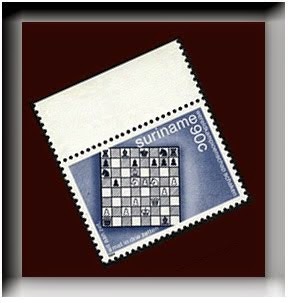 As you can see in the figure above the game is so famous that the position after the 20th move is used as an illustration on this 1984 stamp from Suriname. The Wikipedia article is fully annotated, but it may be a nice exercise if you first annotate the game yourselves, since the game contains a lot of nice combinations. If you are not familiar with this opening have a look at the lesson about the King’s Gambit. The next lesson is about Smothering the King, but you may also be interested in the Evergreen Game. In this lesson I will show you the Mortimer trap, also known as the Mortimer Variation of the Berlin Defense. The next lesson is about the Immortal Game, but you may also be interested in the previous lesson about the Kieninger Trap. I have written about The Mortimer Trap on my blog (or go direct to the analysis page). I’ll see that you describe the variation with 6…d6 7.e5?! Odd, are you sure it’s really a hook with the knight? what if the “hooked” white knight moves to d6? After 6… Nc4 why are people ignoring the move Ng6! e5 Nd5 Ba4 b5. Also in lines where white doesnt play Nxe5 Ng6 is key for black defending e5 and covering f4 and letting the dark squared bishop into the game. I think that the mentioned variation shows Black’s advantage more clearly than variations like 7.e5 Nd5 8.Nd6+ Bxd6 9.exd6 cxb5 10.Qf3 (after 1.e4 e5 2.Nf3 Nc6 3.Bb5 Nf6 4.d3 Ne7 5.Nxe5 c6 6.Nc4 Ng6) but I agree that 6…Ng6! is just as good as 6…c6!. This post gives an overview of all the Chess Lessons currently on this site that are intended for the players at an advanced level.